Europe has taken a giant leap forward to keep taxpayers from footing bailout bills in the future. 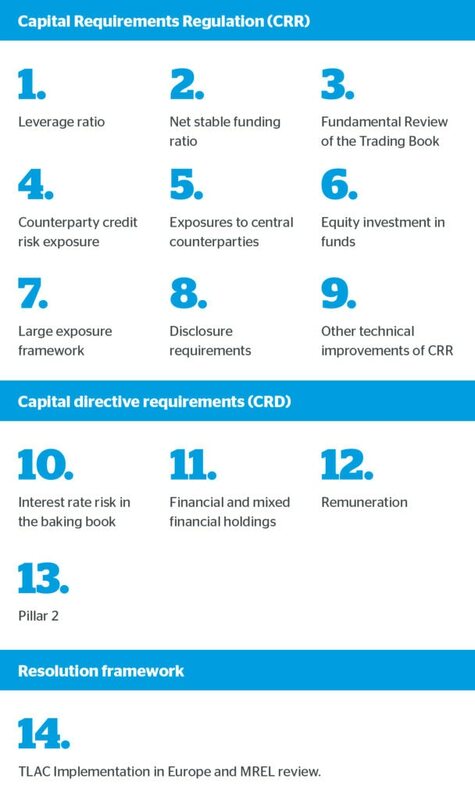 Last week, the European Commission unveiled a regulatory package which, among other measures, envisaged the revision of the resolution framework for institutions. The proposal represents a new leap towards the goal of ensuring that banks allocate the right amount of resources to absorb eventual losses, even bail-out themselves, without resorting to public funding. It will also help European banks boost the amount of high-quality capital in their balance sheets. One of the most relevant measures included in the proposal envisages the application of TLAC (Total Loss Absorbing Capacity) regulations to EU institutions deemed systemically important (EU G-SIIs) by the FSB (Financial Stability Board). Non-EU G-SII banks will be subject to MREL, whose features have been clarified. In addition, the European Commission has proposed to harmonize the hierarchy of bank creditors who must take losses when a euro area bank has solvency problems. This proposal seeks to put an end to the uncertainties generated, both among issuers and investors, by the different classifications of bank debt in EU member states, especially as regards their role in insolvency cases. As an example, in Italy, the government changed its legislation to give preference to other financial liabilities (such as large company deposits) over senior debt to facilitate its ability to absorb losses. These different approaches could lead to a more complex and less transparent application of institution rescue mechanisms, ultimately giving rise to a different treatment of unsecured debtors depending on the country of origin of the bank. To avoid this, the Commission has decided to adopt the so-called French approach and has created a new type of senior “non-preferred” debt instruments, which will be subordinated to traditional senior debt issues for resolution purposes. Senior non-preferred debt instruments will be eligible as TLAC/MREL capital (i.e. will have loss-absorbing capacity). The issuance of this type of debt will help banks meet their capital requirements, while obtaining financing to carry out their core activity: lending.